APR BBQ and Customer Appreciation Day – Oct 19th. 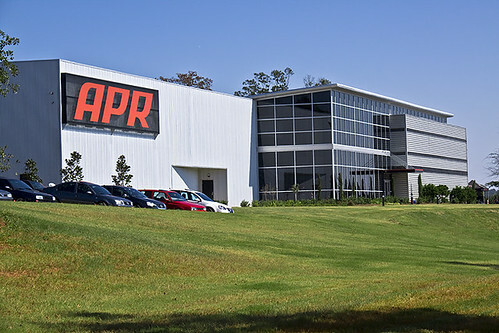 APR is pleased to present the 13th annual BBQ and Customer Appreciation Day at our purpose built performance campus on October 19th in Opelika, AL. Gates open at 10:00 AM CST for the general public and 8:00 AM CST for APR product installs! APR is Pleased to Announce Free Updates to our Golf R ECU Upgrades! APR’s Engineering Teams have finished final testing of new version 3.31 Stage I, I+ and Stage II+ 2.0T ECU Calibrations for the Golf R. The new ECU Upgrade improves upon power deliver on top of what was previously a tremendous upgrade over stock! Amidst addressing all previous concerns, additional motorsport features were added to further enhance your driving experience. All updates are now available at APR dealers and are offered as a FREE update for APR ECU Upgrade customers! APR Presents H2O International – September 28th and 29th! APR is proud to be the title sponsor of H2O International on September 28th and 29th, 2013 outside of Ocean City, MD at Fort Whale Campgrounds, 11224 Dale Road, Whaleyville, MD 21872. Stop by the APR paddock to check out APR’s show and R&D vehicles, race cars, APR hardware display stands, Special new cars, and to take advantage of great savings on nearly all APR has to offer!